I had a great weekend of picking and came up with some great American mid century pieces! 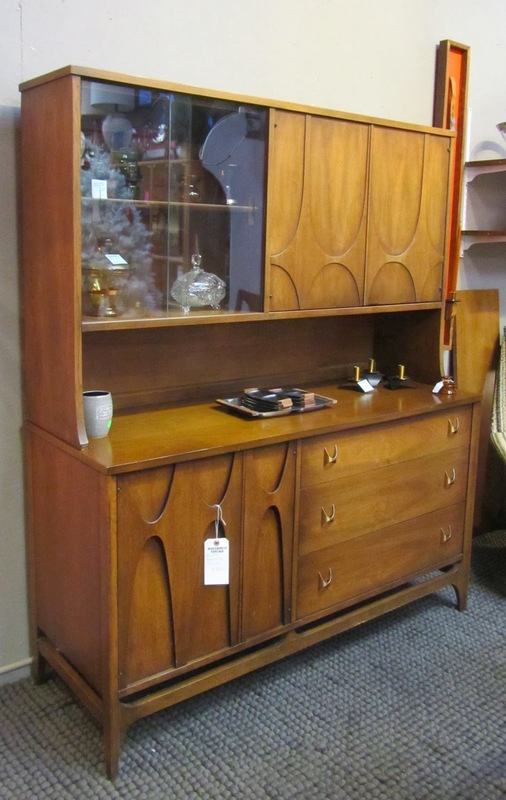 This Broyhill Brasilia hutch was an exciting find. What was even more amazing is the condition. It's nearly perfect. SOLD. 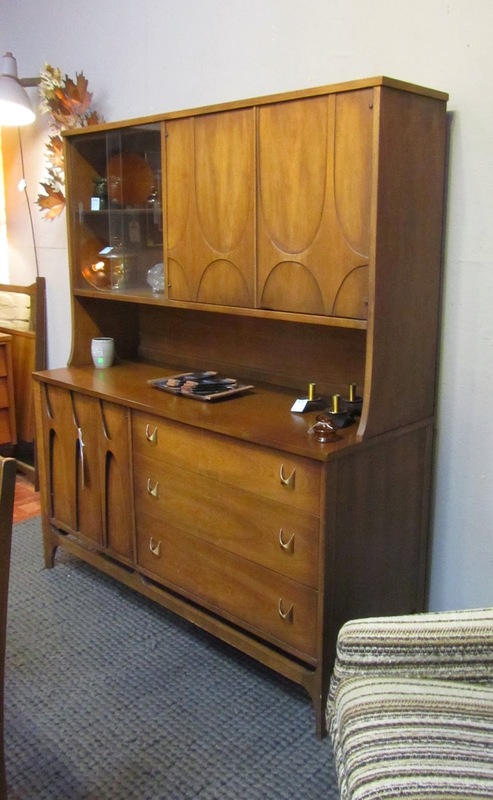 That table and chairs is Broyhill, too...probably a companion to the Brasilia hutch. They used the same style chairs and table for all three Premium lines (Brasila, Sculptra, and Emphasis) and differentiated by staining them different colors.